Part of an interesting array of American warbirds at Air Fete 92. 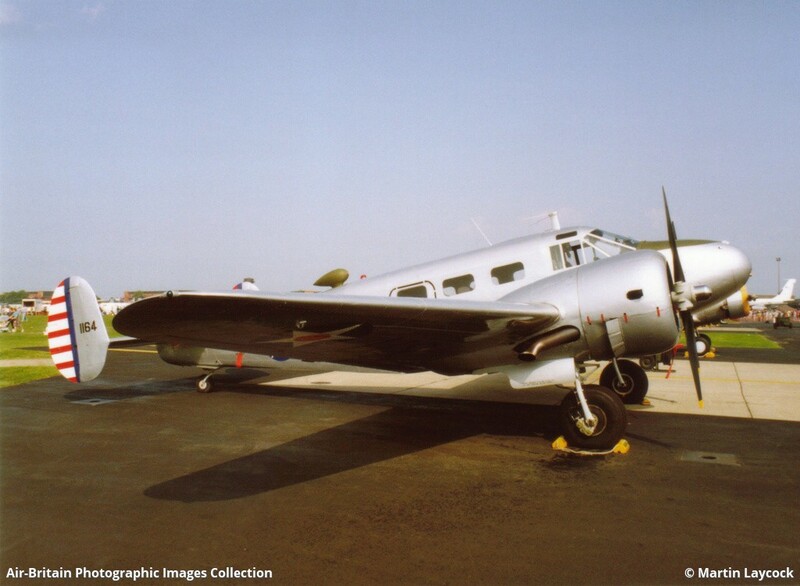 This Beech 18 was built in 1952 and was previously operated by the Royal Canadian Air Force as 5193 and 1564. She was later registered as CF-QPD on the Canadian civil register. She was acquired from open storage at Perth Airport before being ferried to Duxford and rebuilt by The Aircraft Restoration Company. As well as being seen at airshows around the country the ARC used her for training purposes in particular for pilots converting onto their Blenheim. She was often used as a camera ship and also featured in the TV series 'Bomber Crew'.